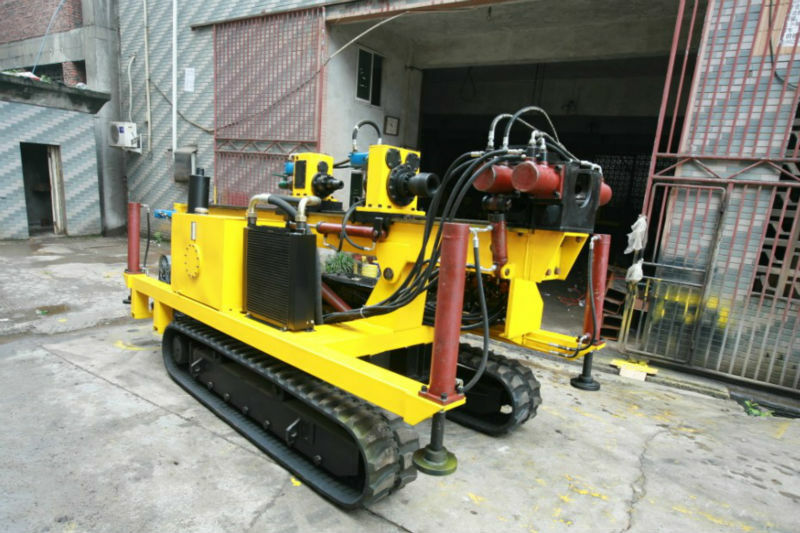 Mainly used in drilling soil and rock anchoring hole for prevention and treatment of geology disaster screen injection for tunnel, also suitable for supporting in deep foundation pit of hydroelectric powerstation, communication, energy capital construction, mini-grouting pile hole, hydrography well and high pressure jet-grouting. 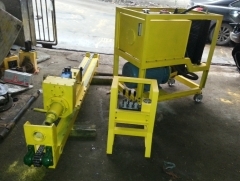 Hydraulic top head, hydraulic powerstation separated from drill body; lighten drilling rig body, and with diesel or motor, meeting the needs of various users. 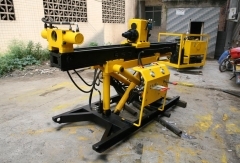 It is the first time that the rig user coring down-hole hammer, fully forward-circulation and partial reverse-circulation drilling methods domestically. Double top-drive head A. 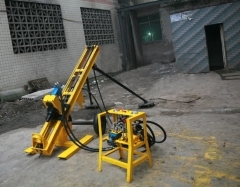 B. a variety combination can be made, to meet many drilling methods. 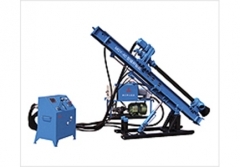 Large powered, top-drive head has big torque and pull force, wide rotary speed range. Holder and unscrew device, working efficiently, labor saving.